Over the past few years, I've painted almost all of the outdated wooden trim in our 1970's house. Although it took some time to complete, it was a really inexpensive update that made a huge impact in the overall look and feel of our home. If you have an outdated house, this is such an affordable way to completely transform it without having to spend a ton of money. I've been able to test out my theory on nearly every room in our house, and it works every single time. 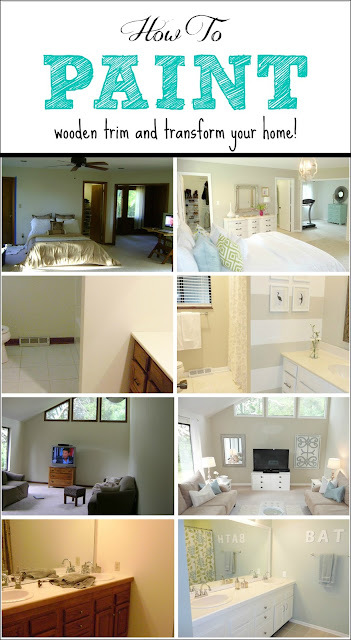 Before we discuss details, here are the before and afters of some of the rooms in our house. You can see what a difference a little paint can make. and our living room after. *UPDATED: The dining room has been renovated even further by knocking down a wall. You can see all the pics here. and master bedroom closet after. See full reveal here. Seriously, it's one of my faves. And that's all we've gotten to so far. The downstairs level of the house hasn't been painted yet, so we'll leave that for another day! 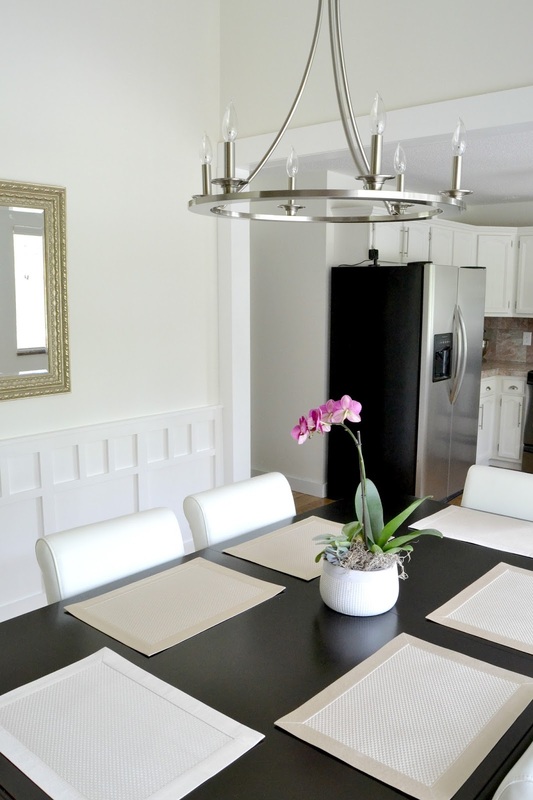 Hopefully, now you understand why I think painting trim white has such a huge impact on a home. 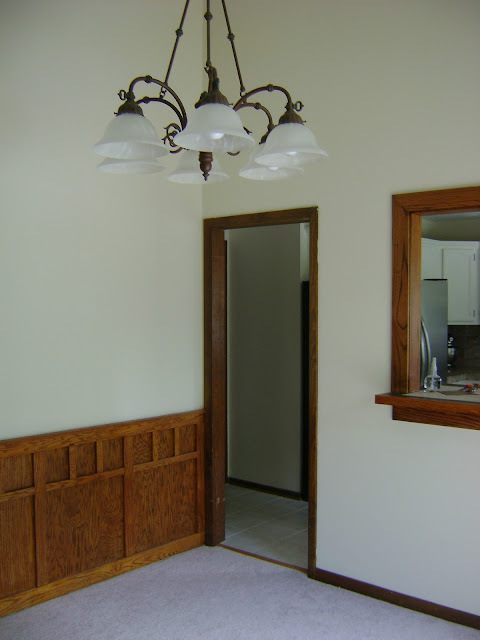 There are some gorgeous wood trim exceptions out there, but I usually prefer white trim. That's just how I roll. So, now let's get started with the tutorial. Here are the basic supplies you will need. *All above links take you to my Amazon affiliate shop. Quick note: In the majority of our house, I chose to just prime our trim rather than sand it. 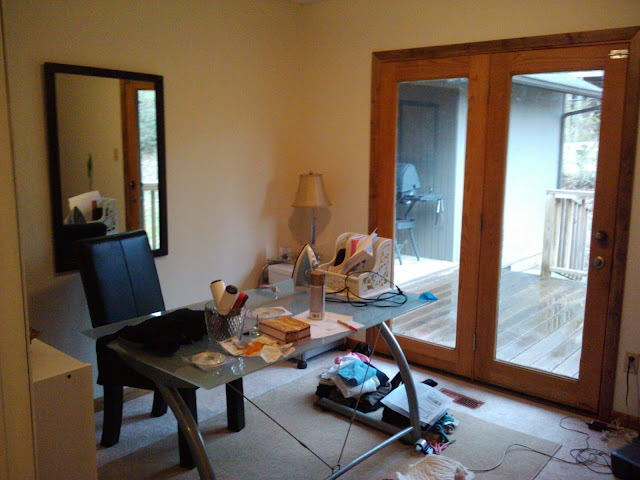 However, I did remove the trim and sand it in the living room/dining room area because I knew it would get the most wear and tear. 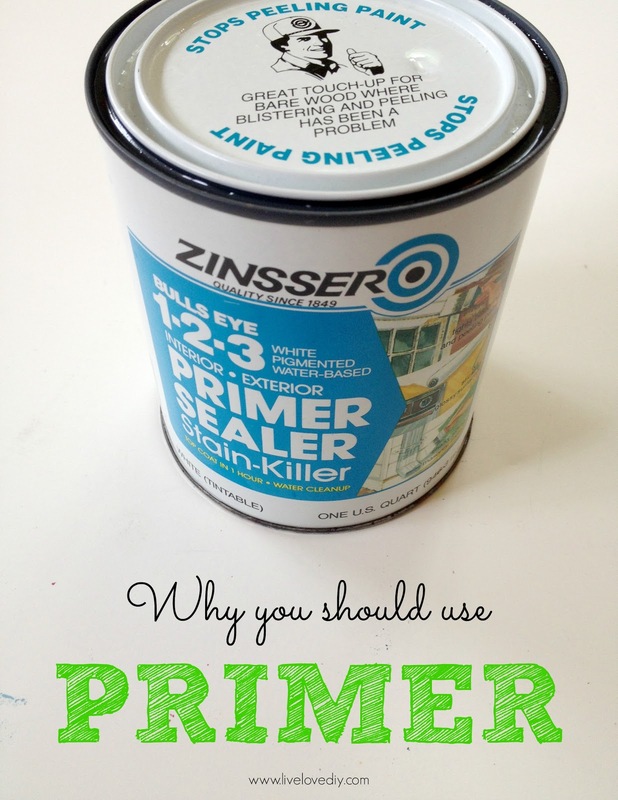 Sanding AND priming your trim will give you the most durable results, but I've found that priming alone works well enough for me. On the areas of the house where I did sand the trim first before priming, I use this sander (Amazon affiliate link) because I love that it traps a lot of the dust. Tape off all the areas you don't want to get paint on before you prime. 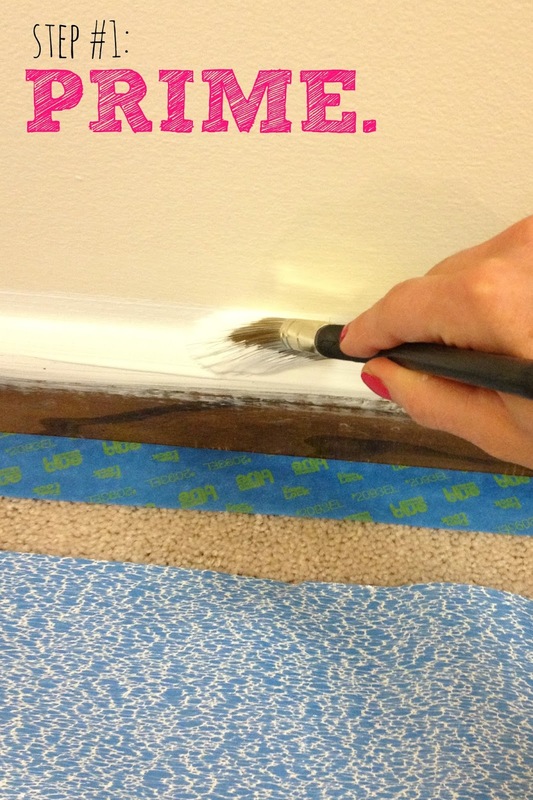 If I'm painting my trim and walls at the same time, I only tape off the carpet. That way, I can paint the trim first and then cut in with the wall paint and cover any mistakes I made while painting the trim. 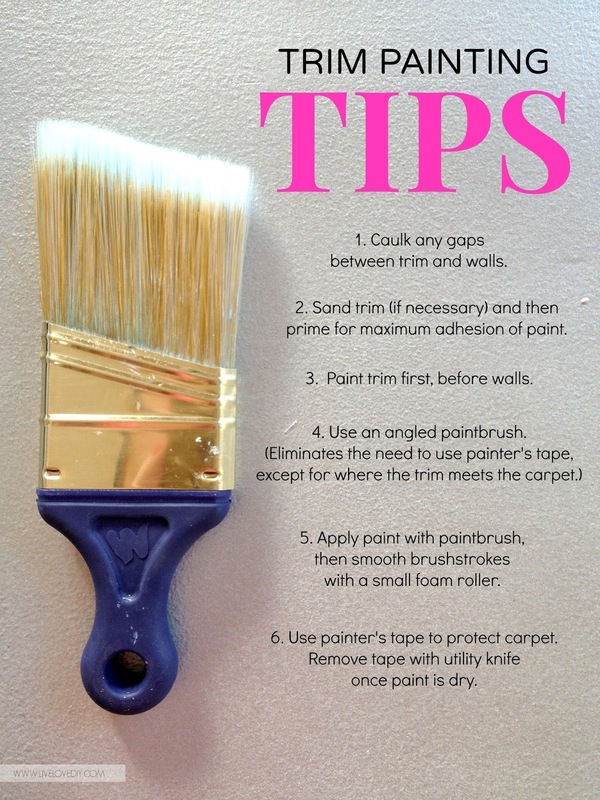 If you are only painting the trim and not the walls, I suggest taping off near the carpet and near the wall. Here is an example of what I mean in the below picture. I had already painted the trim and was starting to paint the walls. You can see that I taped below the trim by the carpet, and then came back after the trim was dry and cut in with my brush to paint the walls. When everything is done, I use an exacto knife to help remove the tape. Usually on other projects, I remove the tape when the paint is still wet, but with trim work you have to do several coats and allow them to dry in between. So, I just leave the tape in place until I'm completely done. After you've taped off all the necessary areas, it's time to start the paint process. Using a paintbrush, I start by painting over all the wood with my primer. I just do one coat with the paintbrush and then smooth it out with my small foam roller. I find that one coat of primer usually does the trick for me. Priming is necessary because it helps prevent dark wood stain from peeking through white paint, and it keeps your paint from peeling off the wood. It will give you adhesion fairly comparable to sanding in most instances if used correctly. After your primer is dry, it's time to paint. For most of my trim, I've used Behr ultra white in a semi gloss finish. Semi gloss is easy to clean, and I love the way the ultra white color looks crisp and clean next to my wall colors. It really makes wall colors pop. When I apply my trim paint, I use my Wooster brush (I think I've bought 5 of them at this point...they save me SO much time and I barely have to tape up anything when I use them because of their precision.). 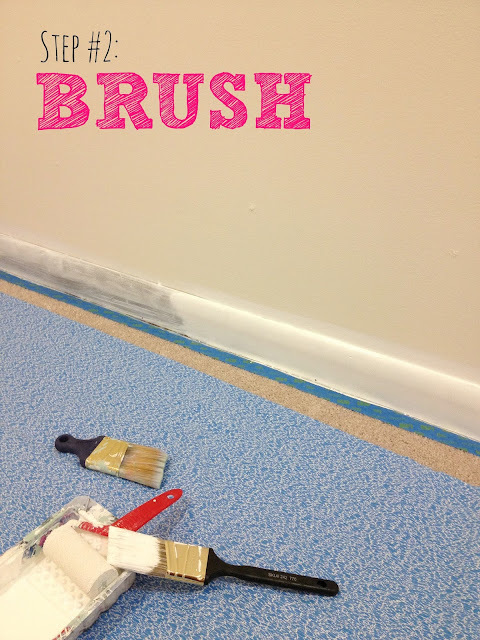 I go over the entire trim with the brush first, and then while the paint is still wet, I smooth out all of my brushstrokes with a small foam roller. This gives it a factory like finish. It's awesome. 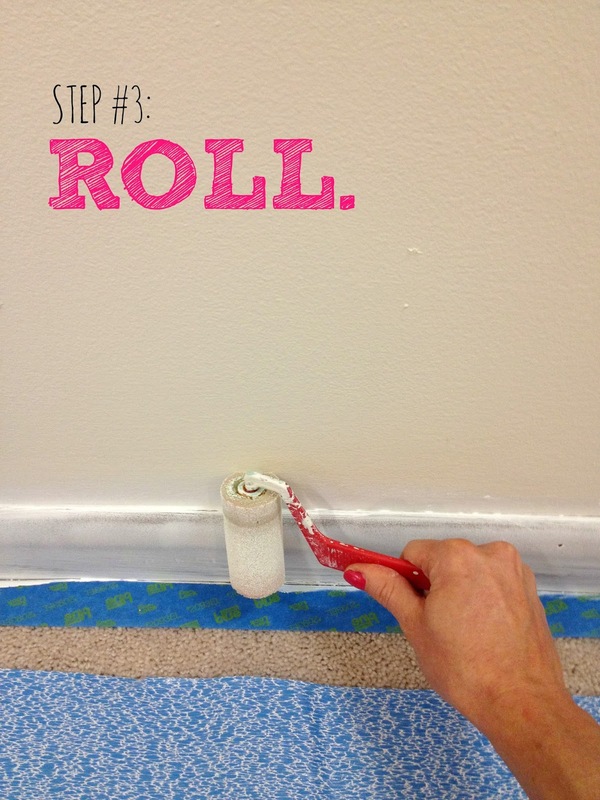 Before your paint dries, smooth out the brushstrokes with your small foam roller. This is a very important step in making it look great. Now remember, in my high traffic areas, I spent nearly 8 million hours removing all of my trim and then painting it outside and making it perfect. It was torture. Turns out, just taping off my carpet and then smoothing out the majority of the trim with a roller renders really similar results. It won't be perfect, but I've been able to completely transform my home using the principle of 'progress, not perfection'. Caulking is key when it comes to making your paint job look professional. 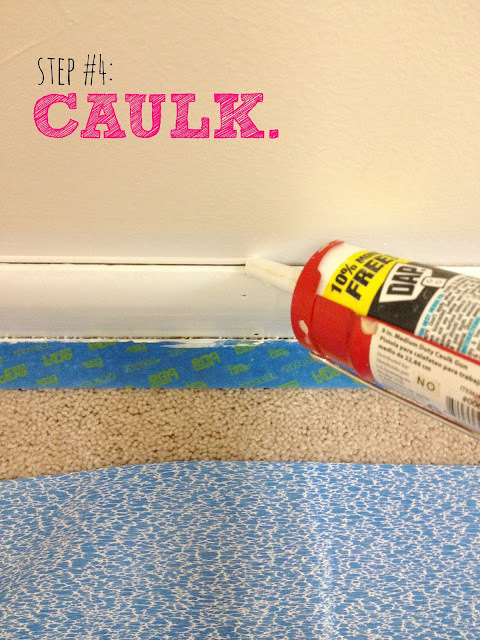 Most people would suggest caulking first (and rightly so), so you should probably do that. However, if I'm being honest, I usually just do it after I've painted. I use white paint, and my caulk is white, so it works. I'm no expert. Just a gal sharing how I made my old house look less old. All I do is use my caulk gun to run a small line of caulk between the wall and the trim. And I don't even use a caulk tool to finish it. Frankly, I find a paper towel and my finger to work just as well. I just wipe it off in a swipe-like motion. I've done most of my house like this and nobody has ever been the wiser. I used a caulk tool for my first few rooms, and they look the same as the rooms where I just used my finger covered in a paper towel. And that, my friends, it how I paint my trim. I've spent endless hours sitting on the floor with a paintbrush over the past few years, and I've adapted my methods as I've learned more. I'm sure there are better ways, or even different ways, but this is what works for me. Feel free to ask any questions below and I'll do my best to answer! Can you PUH-Lease tell my boyfriend that an electric sander is the way to go! He insists on doing it with a sanding sponge by hand (I refuse!) and the last set of doors he did is already peeling & crackling! UGH! And I don't have the heart to tell him how much it drives me crazy! lol We still have ALL the trim to do in the house and 3 more doors, so I might win yet! Thanks for the tips, I will surely be using them! wow, you've really transformed your house into a beautiful home! The white trim makes all the difference! Thanks so much for answering my question! This post is exactly what I was looking for. Your rooms look wonderful -- love the white trim!! Hi Virginia! Thanks for sharing your tips on painting. I always dread painting walls, trim, doors, at my house because it seems like so much work. I think after reading your tips, I can work smarter and maybe actually take on a paint project. 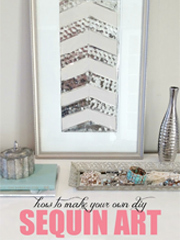 I saw your post at "Addicted To Decorating". I am in love with your house and all the projects! What color and brand of paint do you have on your walls? Love this! I was thinking this would be the first thing I do when we move into our new place, and you've confirmed it for me! I was curious if I should paint the walls first, but now I won't. Thanks for the tips. I'm pinning this too! That's a great tip! Thanks Brie! Thank you for this! I'm sitting here debating whether or not to paint all of my trim in my newly painted bathroom. I think it's a go!!! Do u know the name of the paint color you used in the office. I love it! Hi Carrie! I sure do...it's Sandstone Cliff by Behr. Thanks so much! I'm just painting over the current white trim to freshen it up. Do you still suggest that I sand it? Thanks! If you sand it lightly with very fine grit, it should help your new coat of paint adhere better. 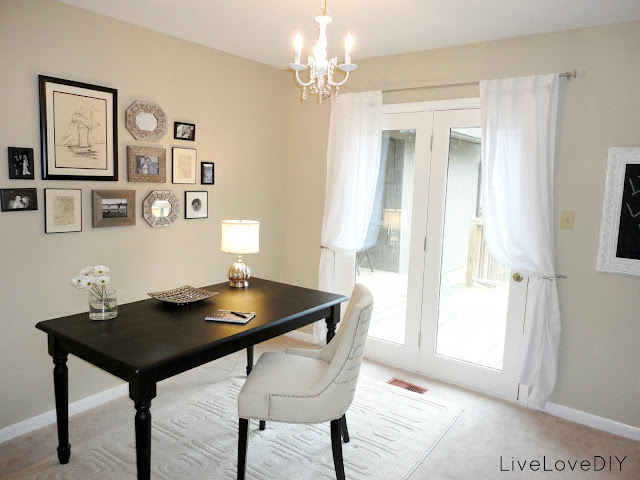 Can you please share what color you painted the bedroom- the linen/khaki color. THANK YOU! The white trim is gorgeous! Sure! The color is Behr Wheat Bread. Thanks for all the tips - so helpful! Do you sand the doors before painting them? Hey ya'll! You can either use primer to make your paint adhere, or you can sand with fine grit sand paper to roughen the surface and make the paint adhere that way. Either way works. For best results, you can do both! Hope that helps! Thank you for this. Your home looks wonderful. :) I just found your site through a beauty blogger on youtube who happens to love you. Sam mentioned this post on theschuermanshow. I will have to thank her too. Glad to have found you. Love your place. My family always teases that my mantra should be "if it's wood, paint it". 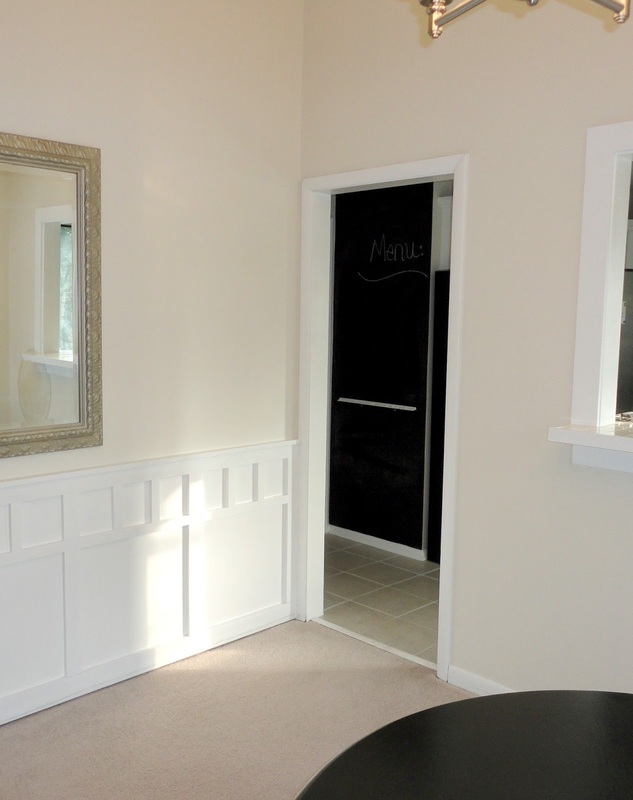 In our 100-yr old homes in Chicago I find that painting nasty old baseboards a dark grey/black paired with white trim on windows and doors is a time-saving and modern way to update the look. In may paint arsenal: Floetral, the paint conditioner! I love that it eliminates brush marks and is a little more forgiving. Good to know, Karen! I'll have to check that out! Thanks so much for sharing. This is great! What are the paint colors in your bathroom with the stripes? I love them and we are renovating our bathroom soon. Such a helpful post! I'm wondering how long it took you to do the entire house. I think my husband would be more than a little hesitant to commit to such a major overhaul. Hey just found this post and Thank you for the awesome tips!! My trim would have been a mess without that mini roller! Yay! So glad I could help, Anna! Yes, the mini rollers really are great! Hi, great post! 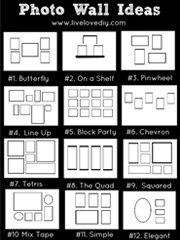 We are doing our entire bedroom level this weekend and I'm trying to plan it all out. Any tips for painting windows? Specifically double hung? They are the same darks 70's wood as the doors and trim, but I don't want them to get painted shut? Have you done this before? Beautiful house BTW! We painted our wood trimmed windows in the bedroom, and I just left them open long enough to full dry and cure before we closed them. As for double hung, I don't have any so I've never done that before. Wish I could help you with that! Brilliant! This was really helpful and well written. Thinking about doing this myself on my 80s/90s honey oak... just need to work up the nerve. 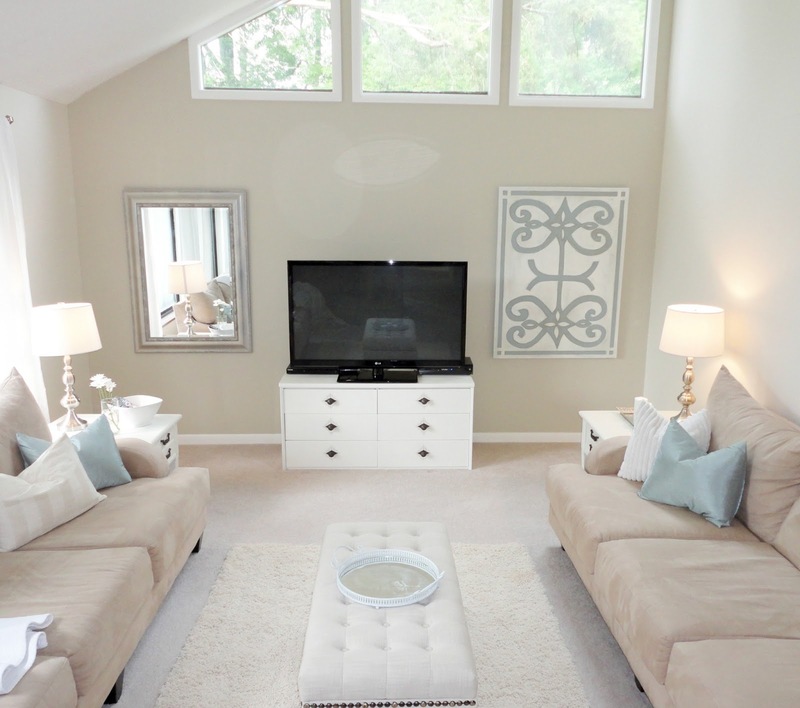 Where did you purchase your beige couches from? Please let me know I love them!!! Thank you! They were from American Signature Furniture and super cheap! For basic couches, they've held up really well and been super functional! We have a house full of the same ugly, fake wood trim & I hate it. I'm thinking of tackling this project & wondered: Did you paint the doors or buy new? We have the same fake-wood, hollow doors and I've wondered if painting would look okay. 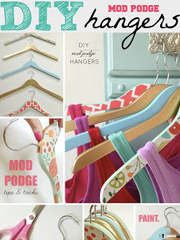 Your closet door looks wonderful - was it painted or is it a new door? I love the transformation of the white trim. What do you think of the Behr paint with the primer on it already? I am going to do this. I went back and forth several times over the past few months wondering if I should or not. I come from a family of "NEVER paint wood." But, I grew up doing the opposite of what everyone says, so why stop now? Lol! I have read through this post so many times. If I have results anything like what you have in your home, I will be so thrilled! I love your blog! Thank you for all of your inspiration!!! This post is awesome!!! I just went and bought Frog tape,and the mini rollers... Have you ever used the Frog tape? I have a house FULL of 1953 wood trim AND solid wood doors,and I have always felt (for the 5 years we've lived here) that it is somewhat of a sin to paint the original wood. But it is all ORANGE-looking, and so freaking hard to decorate around. Seems like 99% of all decor inspiration photos have white trim, so it is hard to pick what would 'go' with the wood (definitely NOT the dusty plum, which I painted the kitchen!! made the trim look orange-er) I am scared to start the trim painting, tho - once I start, there is really no turning back, lol!!! thanks so much for your awesome tutorial!!! your home is beautiful!!! I have the same 1970´s house with the wooden trims and my dream is to leave in a white trim house :-) I will definitely do it by myself. Also I was wondering if you painted your doors as well or you replaced it? you did such a great job with your whole house! Very inspiring! Just wanted to say thank you for the awesome tutorial! After years of debating whether to do the natural trim in our house, I've finally started and I am so glad I did!! I bought myself a Wooster brush and small Wooster roller and used them on my bathroom project this weekend. Oh my gosh, they work great and clean up so easily! Thank you for the great recommendation. Hey everyone!!! has someone see, or Virginia can you tell me- what color is the main color you used on the house! i love it! we just bought a home and i'm dying to get that perfect neutral and you're just looks great! we have some wood trim that I cant wait... i mean CAN NOT WAIT to paint white.. and with the right color walls it makes the trim look even better!!!! thanks again! keep up the inspirational work!! Hi Virginia! love your house! 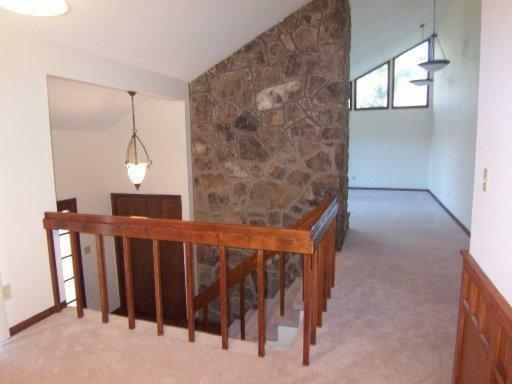 We just bought a new house that I want to transform from 80's to brighter "white trims" house. I will paint all my trims white and will use the paint you suggested, but I have a half wood paneling in my family room which I am not sure what ton of white to use. Should I use also Ultra Pure White semi-gloss paint? Thanks!! I have the same type of trim throughout my house. My living room has rugged wood beams, same type of mantle and the lower portion of my walls are real tung n groove slats (like panel but real) Hubby says this room is off limits. Would it look odd to paint the trim in the rest of the house but leave the livingroom with the wood? My doors are also the same as yours did you paint them or replace them? Thanks You did a fantastic job, your house is beautiful! Hi Virginia! You did an amazing job with all your projects! I was just wondering what made you choose the Rust Oleum water-based primer? 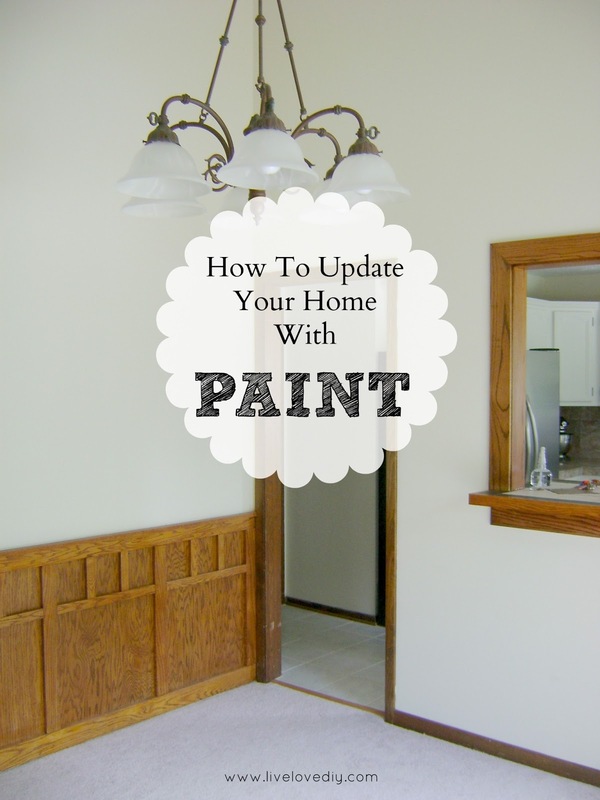 How long ago did you paint the trim/doors in your house? Does the paint still look OK? We had a guy paint our wood kitchen cabinets and he said that for wood it's best to use oil-based primer and paint because it sticks better and lasts longer. What is your input on that? Did you ever try to use oil-based or you started with water-based and it just worked for you? Thanks! Thanks for the quick reply. I went to Home Depot today and bought all of the above products and already started painting the trim around a window. You mentioned that you only used one coat of primer; were you able to see any brown at all from under the primer, after the first coat? I applied the primer with a paint brush and the brown was still somewhat visible, and it didnt look to neat. Is that normal? Thanks again! I live in a modular home that is a little over 15 years old, so I have wood trim and brass. Yuck!!!!!! I'm getting ready to look at your blog about brass fixtures and door knobs. My ? is, I believe my trim is a laminate, do you recommend just using a primer to go over it or is there another trick? Mine are laminate too, Id like to know the answer to this!! Hi Virginia, Found your site a couple of days ago and have studied it like I'm going to be tested on this stuff. Love your material and how you've inspired me to take control of my 80s home. My question is regarding your Shur-Line 3 inch foam roller. The link above takes me to a roller that does not appear to be foam. I purchased the same product at my hardware store and it has more of a thin cotton-like feel to it. However, after taking a closer look your picture of your foam roller, it does appear to be a sponge-like foam. There's another link I found on amazon (http://www.amazon.com/Shur-Line-3-Inch-Foam-Roller-07130/dp/B00004Z4H0/ref=sr_1_4?s=hi&ie=UTF8&qid=1391590986&sr=1-4&keywords=shur-line+foam+roller+3) and wondering which product you in fact use. Big price difference on these two products too. Thanks! Thank you so so much for this post! 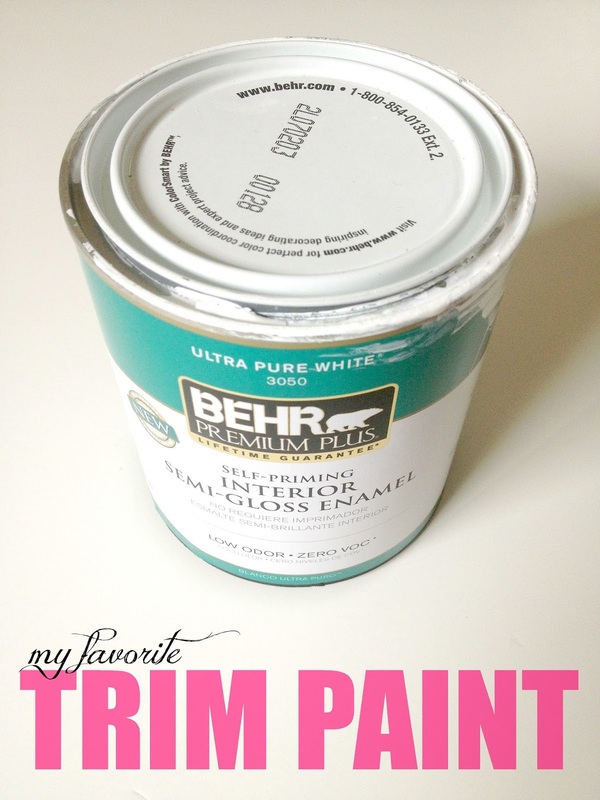 I've successfully painted the trim in my home thanks to this post, and I'm IN LOVE with it. I recently wrote a blog post on this and directed my followers to this post to see how they too can paint their trim! This blog post is seriously amazing! You answered all my questions. I am in the midst of trying to make my moms old house look new ish again and painting the trim is my first step! Thanks so much! 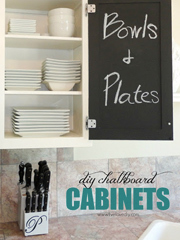 Did you use the same process, tools, paint and primer on your doors and cabinets too? They all look great! I'm curious about how they have held up over time. Thanks! I have oak trim, oak doors, oak cabinets, and oak railings throughout my house. I had dreams of painting it all white but I don't see it happening any time soon with a toddler and an infant so...what do you think it would look like if I just painted the doors and left the trim and casings oak. We are still planing on painting the vanities and kitchen cabinets white. Hello Virginia! Just like you, I have an older home with wood trim, flooring, doors; just wood everywhere! I'm in the midst of painting all the trim white and after seeing all your photos, I'm so excited to see my final result. I live in the south with a wood burning fireplace, so ceiling fans are a must, do you have any suggestions, ideas or tips for getting or DIY-ing a modern ceiling fan? They all seem so dated! Thanks! Yes, this happened to me in our office on the doors. I went back and got Kilz, the one that's made to cover up stains. And it totally worked. If that doesn't do the trick, you can strip it with Citristrip and that should get rid of the stain. Yours has to be my favorite blog....I love it more and more every time I read it. Just wanted to give a tip about caulking after you paint: The caulk grabs and holds on to dust making darker places on your trim, where the dust doesn't stick to the glossy painted areas (I used the Behr high gloss ultra white on my trim and LOVE it). I admit I do not dust my baseboards as often as I should which contributes to the problem, so if you are like me, caulk *before* you paint. :-) I ended up having to go over the caulked areas with more paint, after I thought I was completely finished with trim work (yes, it is a process that D-R-A-G-S on and seems to never end, but it eventually does have an end and is well worth it!). Another thing: I have to touch up my trim about twice a year because the vacuum cleaner tends to rub dark spots on it. When my kids were small, I also had to touch up doorway trim because I was constantly wiping dirty hand prints from it. But to me, touching up white trim is definitely worth it to not have to stare at wood-stained trim all the time. 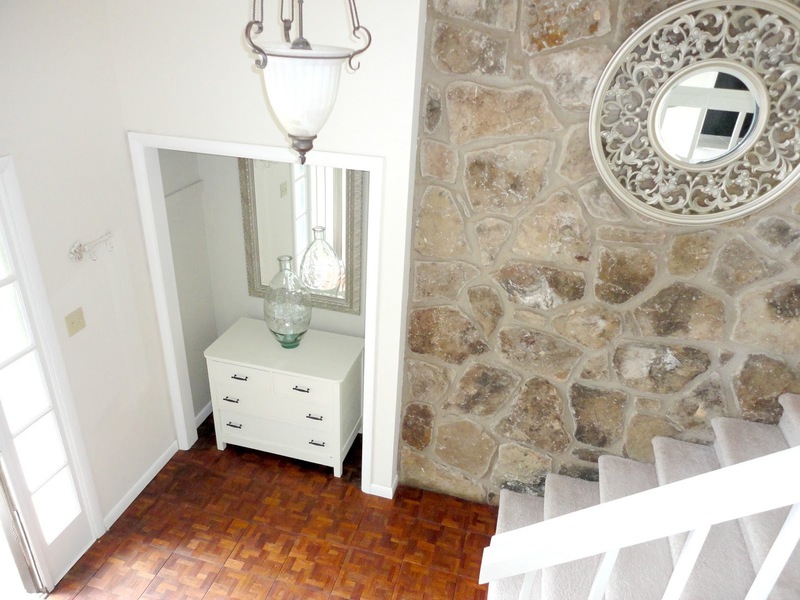 I'm so happy I found your blog, you've given me hope for what might be our new (1970s) home. One question, how did you paint your doorknobs? They appear to be a dark bronze (possibly)? If you could tell me what paint/materials you used, it'd be greatly appreciated! Beautiful home! Thank you! 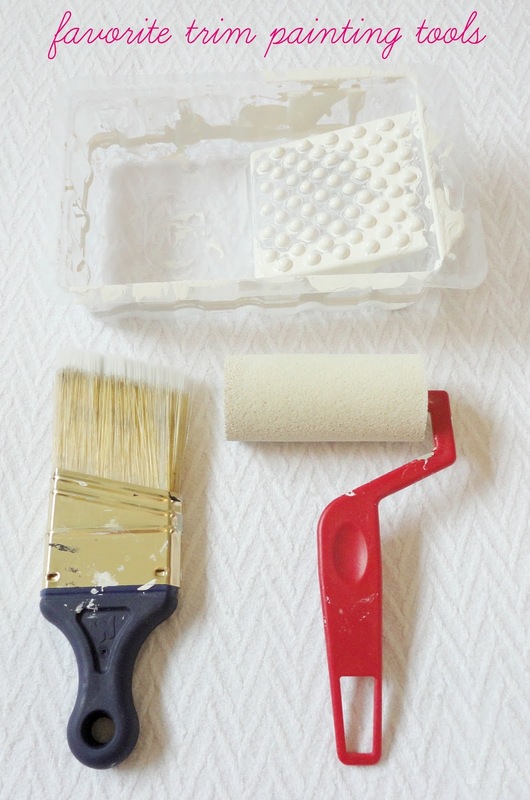 Recently bout a house with wood trim that I wanted to paint white, this blog post was extremely helpful in inspiring me and sending me on my way, so thanks! Here are the "before and after" images of my painting project. What a transformation! Gorgeous job on your whole house. I did this to our home about 20 years ago and have never regretted it... you did a great job. Wow! Amazing transformation, love your decorating style too. So...I discovered your blog yesterday, went out and purchased all of the painting supplies last night, and have begun painting my tiny, outdated bathroom trim today. Thank you so much for the inspiration! Without your tutorials, I would never have had the nerve to try. Fingers crossed for success! What a difference! Your home looks absolutely gorgeous. We just moved and I'm getting ready to paint all of our wood trim and doors white. I've been dying to get rid of the old wood look. Thanks for the tips! What did you do with the door knobs? Did you replace them all as you painted? Or did you spray paint them as well? I have paint rooms and rooms of brown trim white. I used your blog as motivation to see the potential of our our house could be. Our house was built in 1989 and has all wood trim, and we knew when house shopping that we'd almost all houses in our area of this age had the outdated trim. It looks so great now! Lots of work, but well worth it!!! 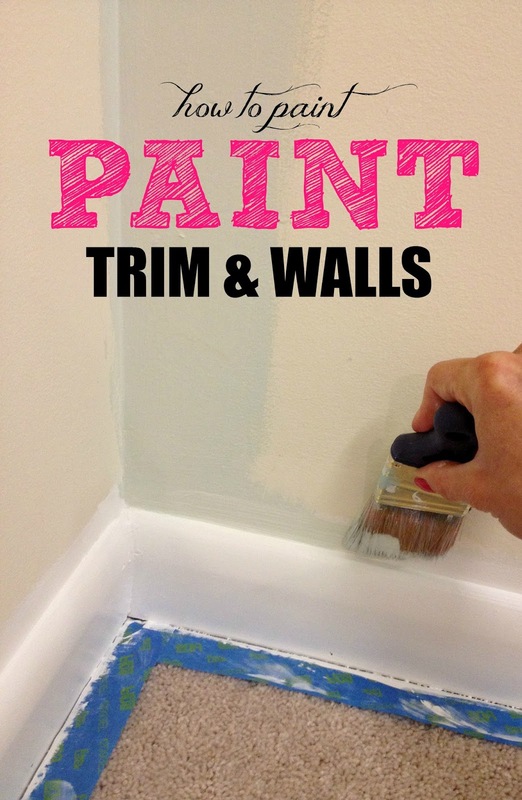 The best tip is to paint the trim before the walls! 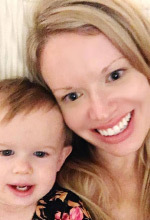 Thank you SO much for posting your experiences on your blog! I've lately become obsessed with the show Fixer Upper on HGTV and it's really motivated me to start doing little updates in our home...but we're on a tight budge and I had no idea how or where to start until I stumbled upon your blog and now I've got a plan and mega motivation to see it through! It'll probably take me a good 6 months (or more) to get through all I want to do, but slow and steady wins the race! I'm so pumped and can't thank you enough for blogging your process of all us budget mama's! Bless you!!! I have been considering painting our dated, worn trim. I feel inspired after seeing your before and after photos. The step by step instructions give me the confidence to do it! We've been in our house almost 5 years now and I've read this tutorial of yours a few times and I finally bit the bullet this past weekend and started painting the trim in the living room. It looks amazing! 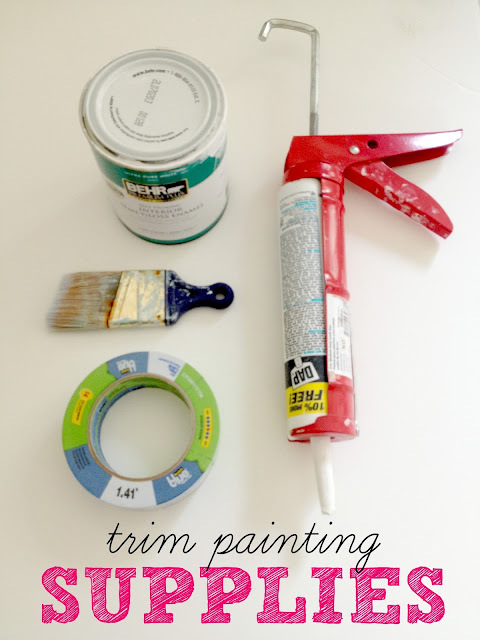 This is my favorite paint trim tutorial and I've been following it to a T - including using the same tools noted here - and the results have been amazing. Thanks so much! 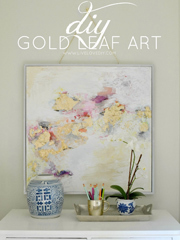 So inspired by your blog! Quick question, did you sand the bathroom cabinets? Also, did you use a finisher or you left it at the last paint coat?